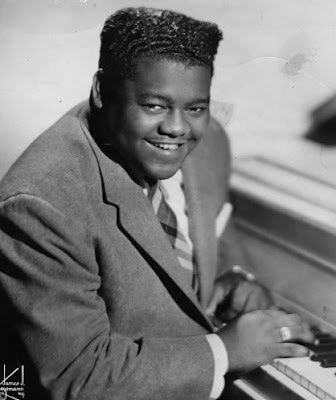 Fats Domino was a founding father of rock-n-roll. He passed away at 89. My brother always joked that a lot of the classic rock-n-roll and R&B songs out of New Orleans all sounded the same. I would counter that it was distinctive. Although the music may have seemed simple, when you listen to later rock bands (often unsuccessfully) attempt to cover songs Domino wrote or performed, it became apparent that there was more going on rhythmically than one might have initially assumed. Fats Domino stood at the interstices of a lot of popular music. Without Fats Domino rock-n-roll would have been much impoverished. Reggae and Calypso would be very different indeed. Listen to "Be My Guest" for a example of proto-reggae/ska. His music swung. It is immediately recognizable. And I really love the clear crisp production with deep bass and upfront vocals. Even his sad songs were somehow still optimistic. A joy runs through all of his music. Fats Domino was apparently something of an introvert. And even on stage he preferred to let the music do the talking. Domino very rarely displayed the wild performance styles of fellow rock-n-roll pianists like Little Richard or Jerry Lee Lewis. And since the piano isn't a portable instrument like the guitar, Domino rarely deigned to swivel his hips and drive the ladies wild like Elvis Presley, Ike Turner, or Chuck Berry. Nonetheless Fats Domino, as much as anyone else and more than most, could claim to be a King of Rock-n-Roll. 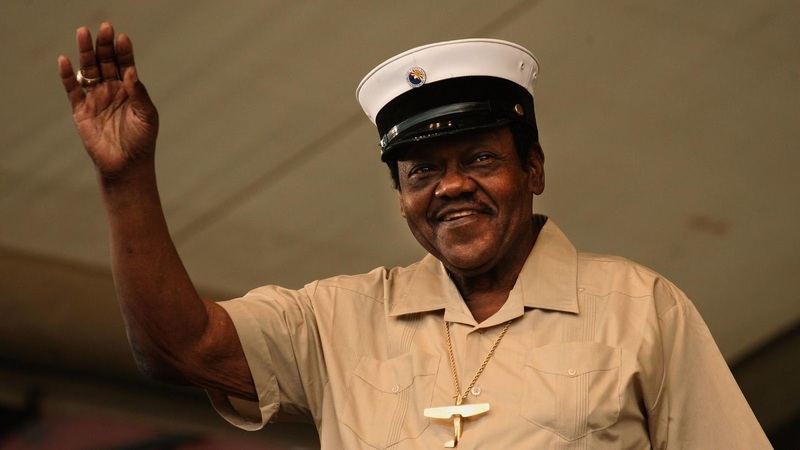 Fats Domino, the New Orleans rhythm-and-blues singer whose two-fisted boogie-woogie piano and nonchalant vocals, heard on dozens of hits, made him one of the biggest stars of the early rock ’n’ roll era, has died in Louisiana. He was 89. His death was confirmed by his brother-in-law and former road manager Reggie Hall, who said he had no other details. Mr. Domino lived in Harvey, La., across the Mississippi River from New Orleans.